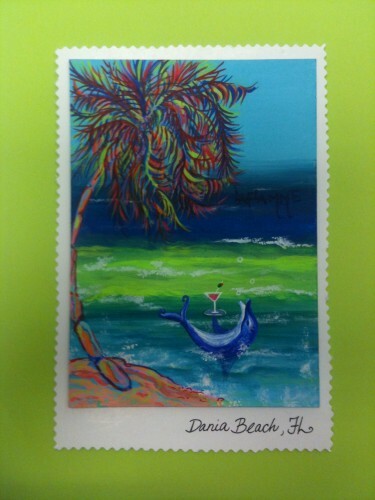 Timothy Leistner Artist Eye Fine Art hosted a postcard art contest Destination: Dania Beach. I had great time creating a card to enter into the competition. The opening reception was Friday, November 15 and despite the rain there was a wonderful turnout for the event. Everyone mingled, wine was shared, prizes were awarded and at the end of the evening I went home with two ribbons, 1st Place and Peoples Choice. 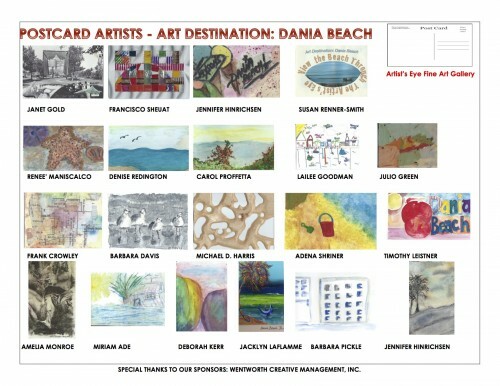 Congratulations to; Janice Gold 2nd Place, Barbara Davis 3rd Place, Michael Harris, Susan Renner-Smith, Frank Crowley and Jennifer Hinrichen who all received honorable mentions. We are all winners as long as we keep creating! To commemorate the evening a poster is available for sale $10.00 each, contact Timothy Leisner for the details. 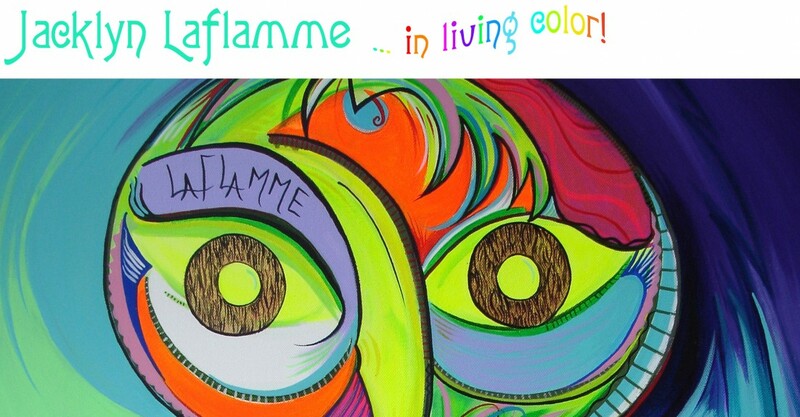 Thank You to Timothy Leisner Artist Eye Fine Art and Wentworh Creative Managing,Inc. 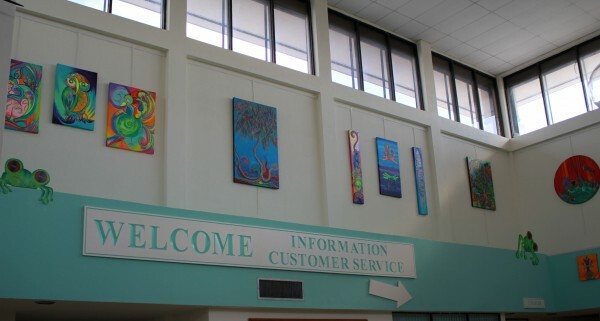 Categories: Events, Exhibitions, Paintings, Photography, Sketches | Tags: acrylics, art, art gallery, Artist Eye, arts, awards, children, dance, dania Beach, Destination, dolphins, Education, Elizabeth Wentworh, exhibition, First Place, florida, Gallery, history, Honor, images, jacklyn laflamme, Lectures, Messages, Music, Organizations, painting, Parks, Peoples Choice, Post Cards, Pride, Prizes, Recreation, Ribbons, School Of The Arts, Schools, Theater, Timothy Leistner, Tourism, usa., Vacation, Visual arts, Win | Permalink.